Located in terminal D, IAH Houston now has the perfect place to unwind. To those with an American Express Platinum card, access is granted to the newest and coolest lounge at Houston's international airport. From a business center, showers, kids room, food, drinks, and workspaces... this really puts your typical layover experience to shame. For a moment I actually forgot I was at IAH. The night was pretty perfect: a blend of music, food, art and HTX vibes. The locally inspired menu was a fun touch. At the event Mixologist Jim Meehan and wine director Anthony Giglio really made the night interesting. A French 75 from someone French is actually life changing. Patrick Renner was a local artist who put a cool spin on the aspect of travel. Throughout the night each guest had the opportunity to become a part of the lounge. The art installation had a map of the world and everyone got to write on a blue stick to add to the woven art piece. My blog name is on mine, a winky face in memory of Meelo ( and a nod to Toshi, shibas wink a lot in general) and 3 hearts for my family (mom, dad, and me). I wove mine in myself. 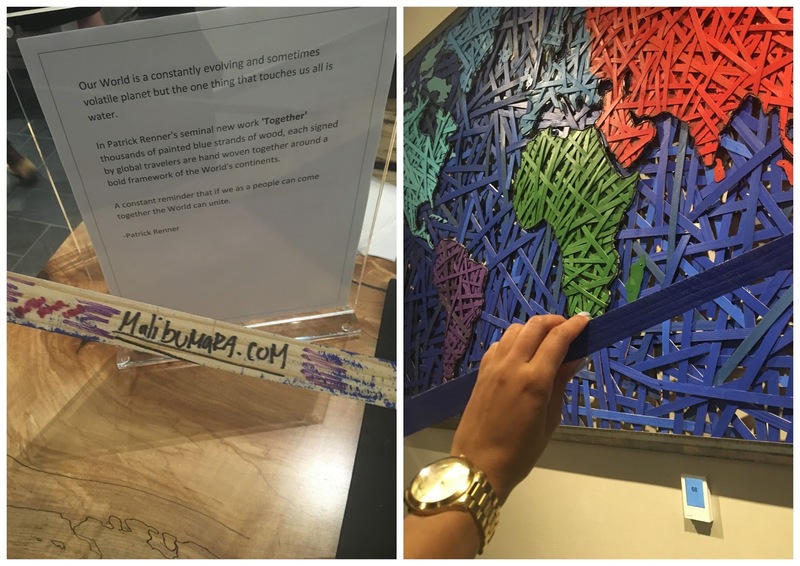 Its closer to South America if you are there and want to find it, but what is really cool is it will stay at IAH for the life of the lounge! At the end of the night one of Houston's favorite local bands, the Ton Ton's performed! I ran into the OG blogging crew as well. Its crazy how Houston's first wave of blogging was. Out of everyone on the scene, and it wasn't too many, everyone in this photo has shown longevity. Houston;s blogging scene is more well known now and there are so many new faces. The pie is big enough to go around. I think its cool how we all blog but bring a different view to the table when it come to perspective on life and style. I'm glad I ran into these ladies! 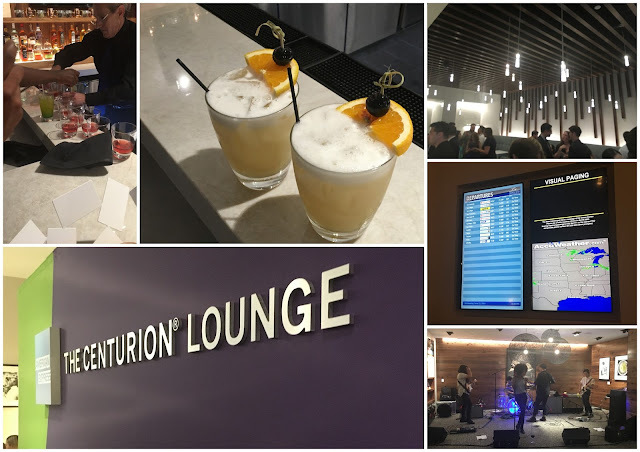 If you have a layover in my beautiful city, consider the Centurion Lounge. It will transform your idea of a layover.